Multiparametric magnetic resonance imaging (mpMRI) is a powerful tool for prostate cancer diagnosis when performed and interpreted by expert radiologists. 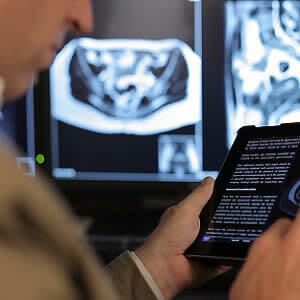 However, its performance varies across radiologists, according to a new study, noting that unwanted variation in MRI interpretation suggests a target for quality improvement strategies to reduce such variation. The study is an article in press in the journal European Urology Focus, and is the first to systematically evaluate the accuracy of MRI interpretation across radiologists of varying experience in real-time routine clinical care. This study included men who underwent mpMRI and MR-fusion biopsy between 2014-2016. Each MRI scan was read by one of nine radiologists using the Prostate Imaging Reporting and Data System (PIRADS) and was not re-read before biopsy. Biopsy histopathology was the reference standard. Outcomes were the PIRADS score distribution and diagnostic accuracy across nine radiologists. Researchers evaluated the association between age, prostate-specific antigen, PIRADS score, and radiologist in predicting clinically significant cancer (Gleason ≥7) using multivariable logistic regression. They conducted sensitivity analyses for case volume and changes in accuracy over time. The research team analysed data for 409 subjects with 503 MRI lesions. While the number of lesions (mean 1.2 lesions/patient) did not differ across radiologists, substantial variation existed in PIRADS distribution and cancer yield. The significant cancer detection rate was 3–27% for PIRADS 3 lesions, 23–65% for PIRADS 4, and 40–80% for PIRADS 5 across radiologists. Some 13–60% of men with a PIRADS score of <3 on MRI harboured clinically significant cancer. In addition, the area under the receiver operating characteristic curve varied from 0.69 to 0.81 for detection of clinically significant cancer. PIRADS score (p < 0.0001) and radiologist (p = 0.042) were independently associated with cancer in multivariable analysis. Neither individual radiologist volume nor study period impacted the results, the research team explained. The study has important limitations, including that MRI scans were not retrospectively re-read by all radiologists, precluding measurement of interobserver agreement. Unlike the PROMIS trial, in which all men underwent a perineal template mapping biopsy, the current study used the combination of targeted and systematic sampling. Thus, it is possible that some cancers, including clinically significant cancers, were missed because they were not seen on MRI or targeted at biopsy. Furthermore, because all MRIs and radiologists came from a single centre and all radiologists had fellowship training and/or extensive clinical experience, it is likely that the results underestimate the extent of interobserver variation present across all practice settings. "Notwithstanding these limitations, our study provides important insights into variation in prostate MRI results due to differences between radiologists. While numerous publications have demonstrated the potential of MRI to improve cancer diagnosis, use of MRI in different practice settings could be confounded by differences in radiologist interpretation. Internal validation of MRI interpretation with biopsy outcomes should be considered for each site," the authors write. "In addition, our findings suggest a role for MRI training modules and radiologist feedback to improve consistency in clinical practice. We have now implemented a multidisciplinary prostate imaging conference in which prostate MRI scans are retrospectively reviewed alongside pathology results, and structured performance reports are sent to each radiologist."